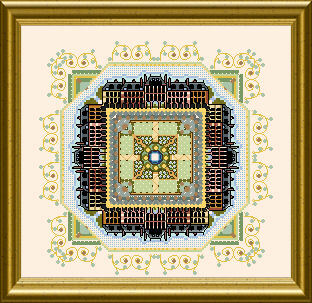 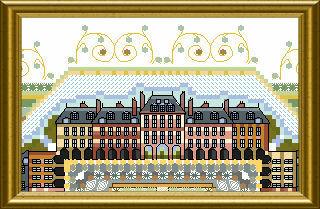 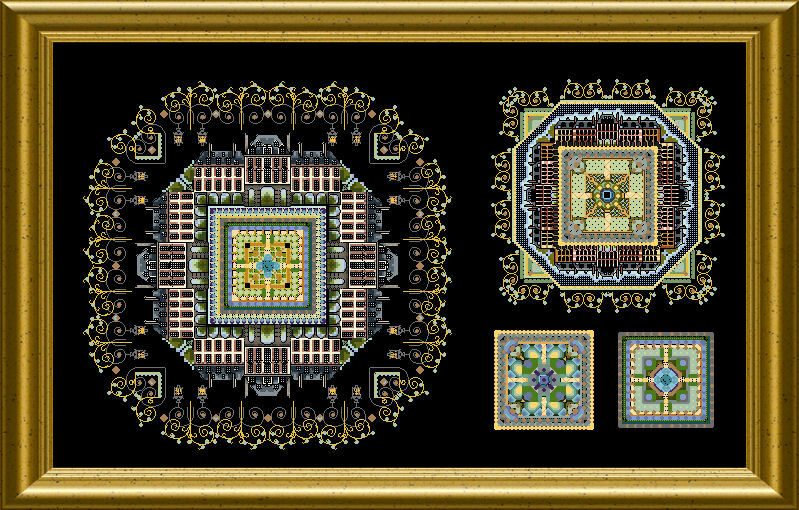 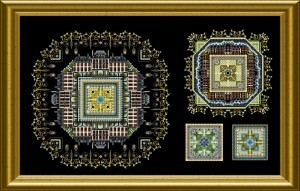 This is a set of design with the topic of the famous and beautiful “Place des Vosges” in Paris. 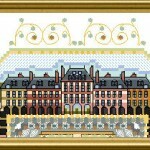 49 x 49 stitches each. You can make various items with this collection ! 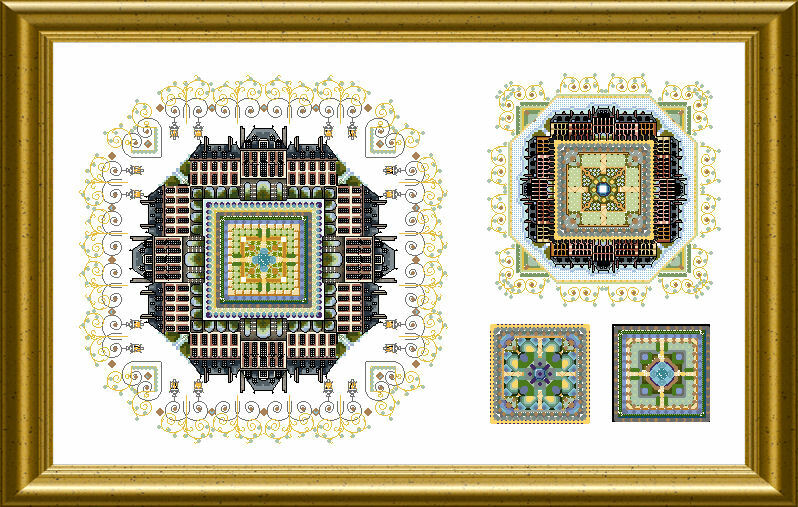 The larger designs are beautiful when framed or as insert in a box top – the small ones can be front and/or backside of a scissors’ fob or a pin cushion….